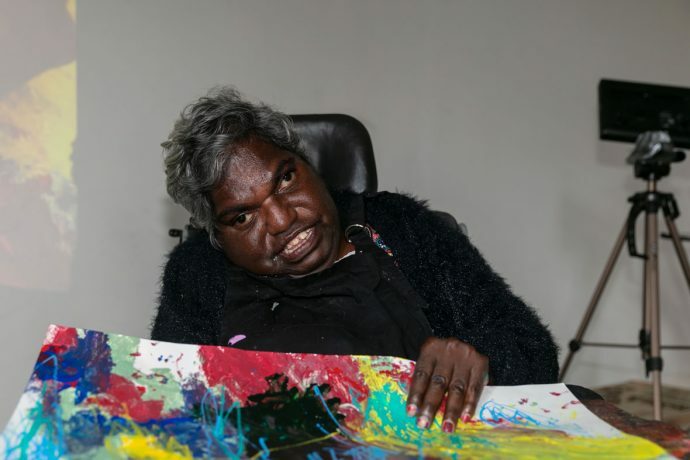 We recognise that as a person and artist with disability, you may need additional support in order to access programs and realise your dreams. As part of your NDIS funding arrangements, you are entitled to a number of hours towards planning your arts pathway through DADAA and accommodating any individual needs that you might have. A total of eight hours is offered to clients as part of this individualised planning. These hours can be used at any time, as needs arise. The goal of this planning is to address barriers that prevent you from accessing programs or developing your skills as an artist. It also assists us as an organisation in providing you with continuity of service. Planning can be around your desires and interests as an artist. For example, planning might be required to find the right program for your specific needs, or it could be required to link find the right professional artists for you to work with if you choose mentoring as an arts pathway. If you have a disability, then planning hours can be used towards making sure you are well-supported and that any barriers you might face are addressed and mitigated. For example, this could mean ensuring that support, arts or allied health workers involved in your care are adequately trained in new technologies or communication devices or in specific aspects to your care – such as dietary needs, sensory needs or knowledge of your disability. DADAA staff liaison with other disability organisations to help support you as a client.